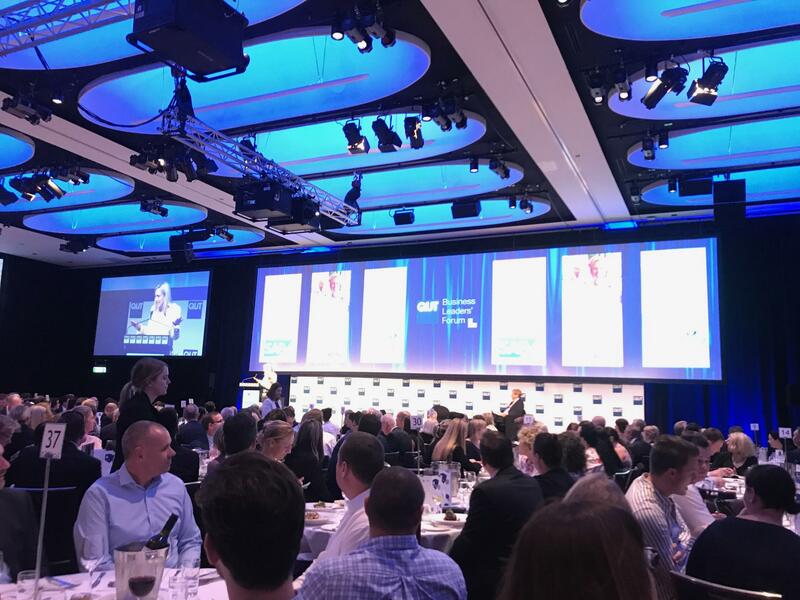 Siecap CEO David Irvine joined other industry leaders at the QUT Business Leaders’ Forum on 21 March to hear from Australia Post’s newly appointed Group Chief Executive Officer and Managing Director, Christine Holgate. Guests at the forum, which was moderated by distinguished Australian journalist Kerry O’Brien at Brisbane’s Hilton, included representatives from Aurizon, Rio Tinto, Caltex, Origin, Transport and Main Roads. The event, which closely followed International Women’s Day, gave guests the opportunity to learn from the first woman to be named ‘CEO of the Year’ by The CEO Magazine in 2015. She was also recognised that year by the Australian Financial Review as one of our country’s top business people. Before joining Australia Post, Christine was CEO of the ASX-listed health supplements company Blackmores Limited. In her nine years at the helm, she drove significant growth in profits and dividends at Blackmores, on the back of substantial growth for the company’s products in Asia. the key strategic issues that Australia Post is currently tackling as it enters a new stage in its transformation in the eCommerce market in Australia and Asia. “This was a fascinating forum with an inspiring leader in Australian business, who has joined Australia Post at an interesting and challenging time,” said David Irvine.